A competitive advantage is what makes an entity's goods or services superior to all of a customer's other choices. The term is commonly used for businesses. The strategies work for any organization, country, or individual in a competitive environment. To create a competitive advantage, you've got to be clear about these three determinants. Benefit. What is the real benefit your product provides? It must be something that your customers truly need. it must also offer real value. You must know your product's features, its advantages, and how they benefit your customers. You must stay up to date on the new trends that affect your product. This includes new technology. For example, newspapers were slow to respond to the availability of free news on the internet. They thought people were willing to pay for news delivered on a piece of paper once a day. Target market. Who are your customers? What are their needs? You've got to know exactly who buys from you and how you can make their life better. That’s how you create demand, the driver of all economic growth. Newspapers' target market shrank to those older people who weren't comfortable getting their news online. Competition. Have you identified your real competitors? They aren't just similar companies or products. They also include anything else your customer could do to meet the need you can fulfill. Newspapers thought their competition was other newspapers until they realized it was the internet. They didn't know how to compete with a news provider that was instant and free. To be successful, you need to be able to articulate the benefit you provide to your target market that's better than the competition. That's your competitive advantage. You must reinforce that message in every communication to your customers. That includes advertising, public relations, and sales aids. It even includes your storefront and employees. 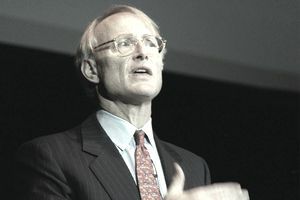 In 1985, Harvard Business School professor Michael Porter wrote "Competitive Advantage." It's the definitive business school textbook on the topic. He wrote it to help companies to create a sustainable competitive advantage. Just because a company is the market leader now, doesn't mean it will be forever. A company must create clear goals, strategies, and operations to build sustainable competitive advantage. The corporate culture and values of the employees must be in alignment with those goals. It's difficult to do all those things well. It's especially difficult to do them year in and year out. Porter outlined the three primary ways companies achieve a sustainable advantage. They are cost leadership, differentiation, and focus. Porter identified these strategies by researching hundreds of companies. Cost leadership means companies provide reasonable value at a lower price. Firms do this by continuously improving operational efficiency. That usually means paying their workers less. Some compensate for lower wages by offering intangible benefits such as stock options, benefits, or promotional opportunities. Others take advantage of unskilled labor surpluses. As these businesses grow, they can benefit from economies of scale and buy in bulk. Walmart and Costco are good examples of cost leadership. But sometimes they pay their workers less than the cost of living. Higher minimum wage laws threaten their advantage. Differentiation means companies deliver better benefits than anyone else. A firm can achieve differentiation by providing a unique or high-quality product. Another method is to deliver it faster. A third is to market in a way that reaches customers better. A company with a differentiation strategy can charge a premium price. That means it usually has a higher profit margin. Companies typically achieve differentiation with innovation, quality, or customer service. Innovation means they meet the same needs in a new way. An excellent example of this is Apple. The iPod was innovative because it allowed users to play whatever music they wanted, in any order. Quality means the firm provides the best product or service. Tiffany's can charge more because patrons see it as far superior to other jewelry stores. Customer service means going out of the way to delight shoppers. Nordstrom's was the first to allow returns with no questions asked. Focus means the company's leaders understand and service their target market better than anyone else. Their either use cost leadership or differentiation to do that. The key to a successful focus strategy is to choose a very specific target market. Often it's a tiny niche that larger companies don't serve. For example, community banks use a focus strategy to gain sustainable competitive advantage. They target local small businesses or high net worth individuals. Their target audience enjoys the personal touch that big banks may not be able to give. Customers are willing to pay a little more in fees for this service. These banks are using a differentiation form of the focus strategy. A country can also create competitive advantage. It's called national competitive advantage or comparative advantage. For example, China uses cost leadership. It exports low-cost products at a reasonable quality level. It can do this because its standard of living is lower, so it can pay its workers less. It also fixes the value of its currency, the yuan, at a value lower than the dollar. India started as a cost leader but is moving toward differentiation. It provides skilled, technical, English-speaking workers at a reasonable wage. Japan also changed its competitive advantage. In the 1960s, it was a cost leader that excelled at cheap electronics. By the 1980s, it had shifted up to differentiation in quality brands, such as Lexus. America's comparative advantage is innovation. U.S. companies bring innovative products to market faster than can other countries. That's why Silicon Valley has become America's innovative advantage. America is so innovative because it has a vast and affluent domestic consumer base. It's easy to test new product ideas and work out the bugs at home. Once successful, they’re marketed throughout the world. Amar Bhidé makes a good point in "The Venturesome Economy: How Innovation Sustains Prosperity in a More Connected World." Even if the United States starts to lag behind other countries in producing engineers, it's still better at bringing innovations to market. That's just one of the ways natural resources boost America's advantage. You can use competitive advantage in your career. If you are an employee, work as if you were in business for yourself. Your target market is your employer. Your benefit is how you increase the company's profit. Your competition is other employees and technology. Communicate your competitive advantage in your appearance, your resume, and your interview. Once you've got the job, continuing communicating your advantage in your work performance.